Thank you to BHPian RavenAvi for sharing this information with other enthusiasts! 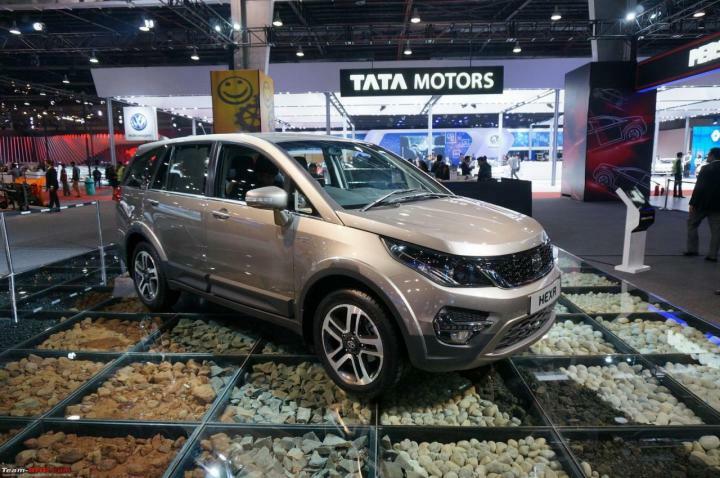 Tata Motors is all set to launch the Hexa SUV in India. Recent media reports have revealed that the Hexa will be launched in January 2017. But before its official launch, various details about the upcoming SUV have come to light. We had earlier reported that the Hexa will be powered by the same VARICOR 400 diesel engine that does duty under the Safari Storme. This engine will be capable of generating 154 BHP @ 4,000 rpm and a peak torque of 400 Nm @ 1,700-2,700 rpm. The Hexa will also get four driving modes - Auto, Comfort, Dynamic and Rough Road. Recent insider information about the upcoming Tata SUV reveals many details about its placement and feature list. Please note that these aren't official revelations, and thus there is scope for some changes in the final feature list. The Hexa will be marketed under the tagline 'Confident Luxury'. Though pricing still isn't finalized, speculations suggest a placement in the range of Rs. 11 lakh - Rs. 18 lakh.